I love the color of this necklace, and the unique design. 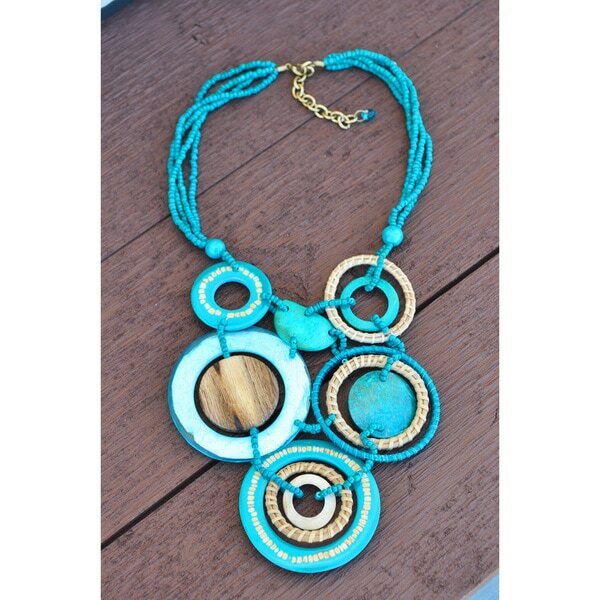 Bright, vibrant coconut wood, resin and seashell beads in contrasting turquoise and ivory colors create concentric circle designs on the front of this exotic necklace. A classic gold-tone brass lobster claw clasp finishes this stunning necklace.